What better way to fuel imaginations than to talk about Space! It blows my mind thinking about how big our universe is and all that is out there beyond planet Earth. World Space Week is an annual event as an international celebration of science and technology and their contribution to the betterment of the human condition. For more information visit the WorldSpaceWeek.org website. The Solar System is over 4 billion years old! Neptune has at least 13 moons. The summers last 21 years on Uranus! The sun is a huge ball of superhot gas 1.4 million kilometres across, equal to 109 Earths set side by side. The sun has a mass of 2 million-trillion-trillion-trillion kilograms, it weighs as much as 330 000 Earths. About 1 300 000 Earths would fit inside the Sun! The Sun lies about 150 million km away from us. Small stars live for a long time, more than 10 billion years. The aurora is named after the Roman goddess of dawn. The Universe is incredibly huge. It would take a modern jet fighter more than a million years to reach the nearest star to the Sun. Travelling at the speed of light (300,000 km per second), it would take 100,000 years to cross our Milky Way galaxy alone. The Kiddiewinkles Outer Space and Rocket Playhouse will delight any little space enthusiast. With an abundance of space design features on all four sides of the playhouse and on the roof it is sure to send imaginations out of this world! Sign up to our newsletter for 15% off your first purchase. 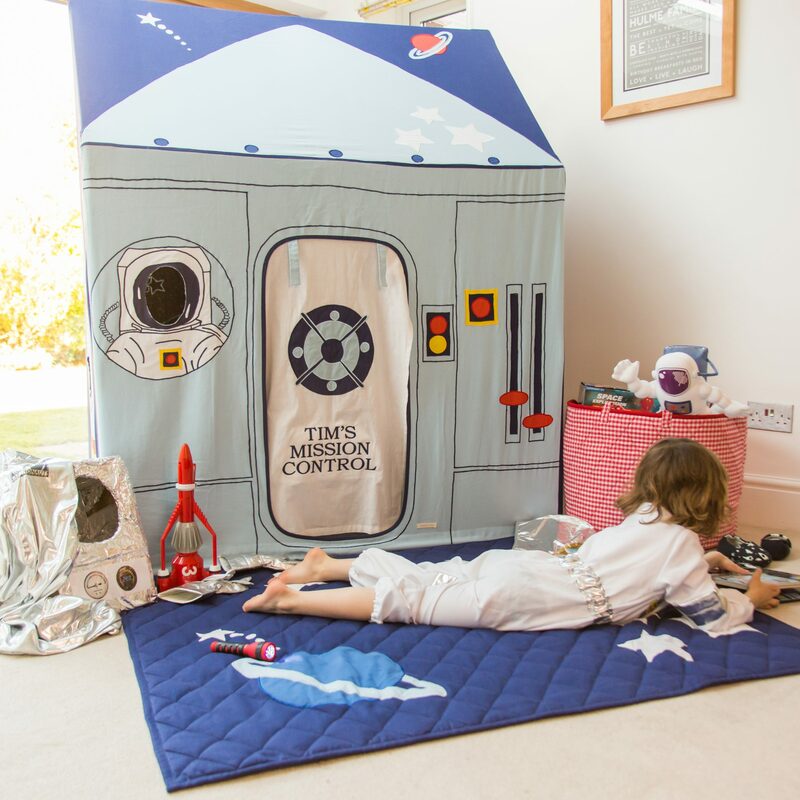 There is also a co-ordinating Outer Space floor quilt that fits the footprint of the playhouse or looks great as a stand alone item in a bedroom, playroom or nursery.